I've never lived anywhere other than Pretoria. It's perhaps the reason why I have always had a bit of a love/ hate relationship with dear ol' P-Town. Even though I'll always call it home, it's always struck me as a big city with a stifling small town mentality. That's why my brief sojourn in Joburg while interning at the SABC has been quite the adventure. The traffic drives me batty but there's something enthralling about finding yourself in a new city. Joburg, with it's palpable verve and colourful cosmopolitan culture, has grown on me so much that I find myself entertaining the idea of moving there when I'm done with Honours next year. I may be married to Pretoria, but Joburg is my lusty lover. 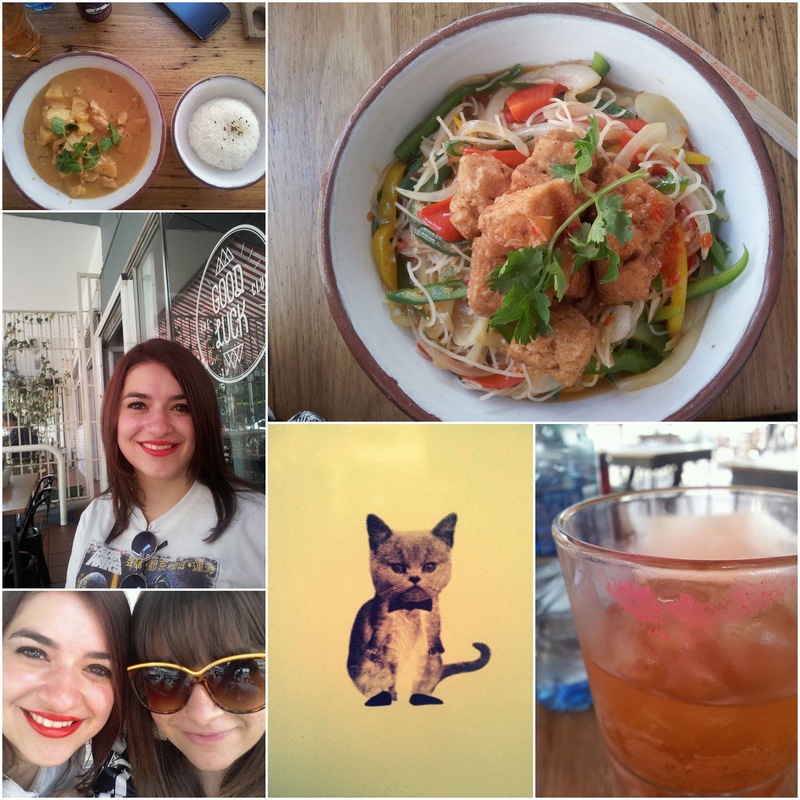 Until then, I'll be sharing a few of the places I've discovered on my escapades through Jozi every so often. Corlett Drive in Illovo became somewhat of a hipster-haven after Shane and Angie Durrant opened Wolves, and later The Good Luck Club. Christi and I, along with our mutual new-found love for spicy food, went to see what all the hype around The Good Luck Club was about. Christi had the Chicken & Pineapple Curry, while I had the 5-Spice Tofu Stirfry. It was one of the few times I've had tofu that doesn't taste like rubber. Well done, Shane and Angie, well done. I'll be back for more soon soon, promise.